Formed in the summer of 1941 in the North African desert, the British Special Air Service (SAS) have justified their elite status time and time again in operations all over the world. SAS Undercover Operations charts the early days of `the regiment', and follows their major combat actions right through to their current deployment in the war against terrorism. The book begins with the SAS in North Africa in World War II, before describing operations in the Mediterranean and northwest Europe. It then traces the reformation of the SAS in the early 1950s, and its deployment in the counter-insurgency operations in Malaya and Borneo against communist guerrillas. 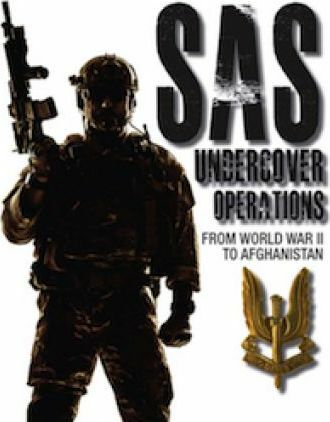 From there, SAS Undercover Operations covers missions in Aden and Oman, before detailing the role of the SAS in protecting the security of the British Isles - particularly in Northern Ireland. The SAS were one of the first units in the world to develop a counter-revolutionary warfare capability to deal with such threats, which was put to good use in the infamous Iranian Embassy siege in 1980. SAS Operations then goes on to describe more recent operations. Starting with the regiment's involvement in the 1982 Falklands conflict, the book examines the vital role that the SAS played in hunting Iraqi SCUD missiles in the 1991 Gulf War. The SAS' part in the UN operations in the Balkans is described, and their deployment in Sierra Leone, dramatically rescuing British hostages. It then goes on to relate the actions of the SAS after the incidents of 11 September 2001, overthrowing the Taliban and the unit's attempts to find Osama Bin Laden and his Al-Qaeda terrorists. With specially-commissioned colour artworks and rare action photographs, SAS Undercover Operations is a highly-illustrated guide to the combat history of the SAS, showing exactly why and how they have earned their deserved reputation as one of the world's elite combat and counter-terrorist units. Mike Ryan's two books, "Baghdad or Bust" and "Special Operations in Iraq", are among the most reliable accounts of the Iraq War. He lives in London, England.